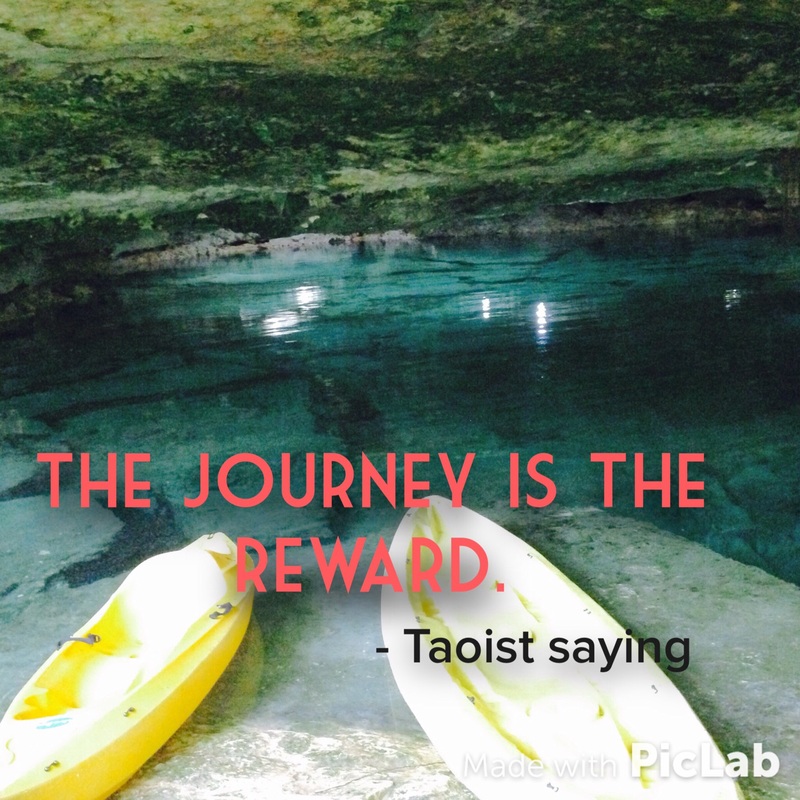 One of my favorite ways to realign myself is through the Taoist saying, “The journey is the reward.” So simple, yet so powerful! This is a beautiful reminder to simply stay in the present and find the joy in whatever it is you are doing, wherever you are, and take time to be grateful. We don’t have to be grateful for the guy that just cut us off in traffic, but we can be grateful that our seatbelt worked. We don’t have to be grateful that the elevator takes for-ev-er to get to get here, but we could be grate full that we don’t have to race up 7 flights of stairs everyday. There are plenty of things within the average day that can get us down and heat us up, but there are also plenty of ways to react that allows us to enjoy everyday of the journey. We are living our life right now, so why not make the most of it. Quickly think of something you do several times a day. Some examples would be holding your keys, looking in the mirror, yawn, fill up a glass of water.. And so on. Don’t fret on it, whatever it is that just popped in your mind fit’s is perfect! Now turn that subconscious action into a very present action by allowing it to be a gratefulness cue. Every time you find yourself in this particular action find what you are grateful for in that very moment. If you can consciously do this for a week, caring it on into our regular life is easy.